Another Mendip Way walk starting and ending in Wells, picking up where my previous walk ended and ticking off the beginning of East Mendip Way. I say that, but it’s not clear that the distinction between East and West Mendip Way will be around much longer. 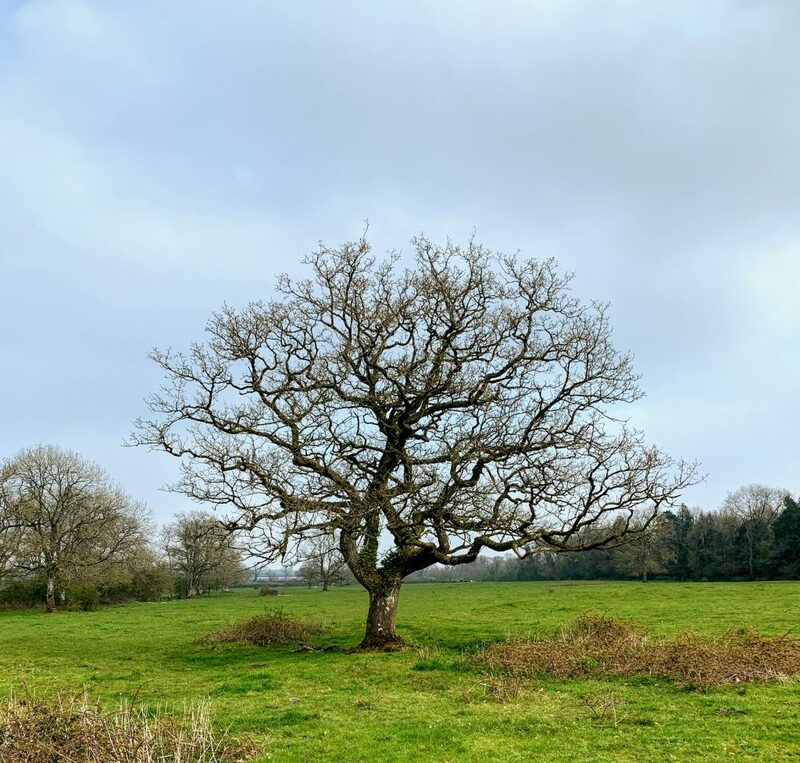 The Mendip Society are planning to have the whole route called simply “The Mendip Way” as part of their 50th anniversary. Makes sense to me! 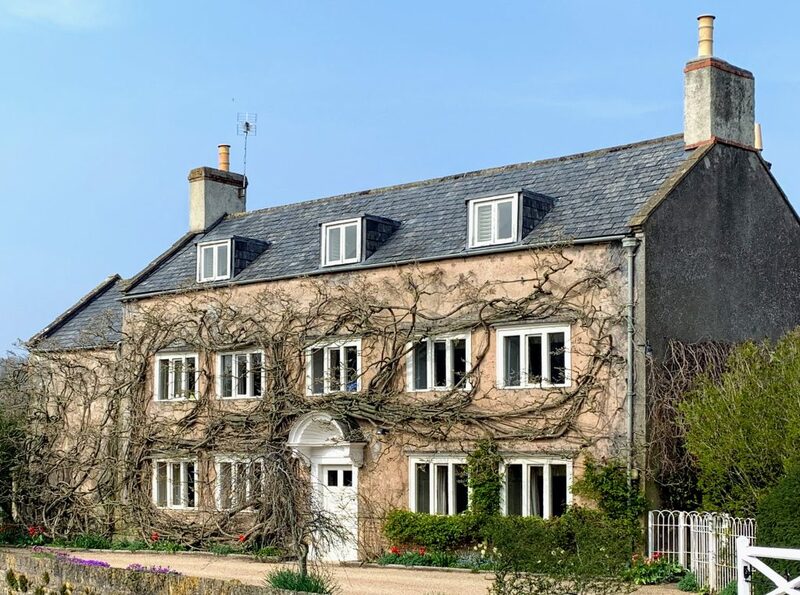 This walk starts at the Bishop’s Palace in Wells and heads up the hill through Tor Hill Woods, a national trust owned woodland. The path takes you pretty rapidly to the top of the hill and out into surprisingly wide open spaces. 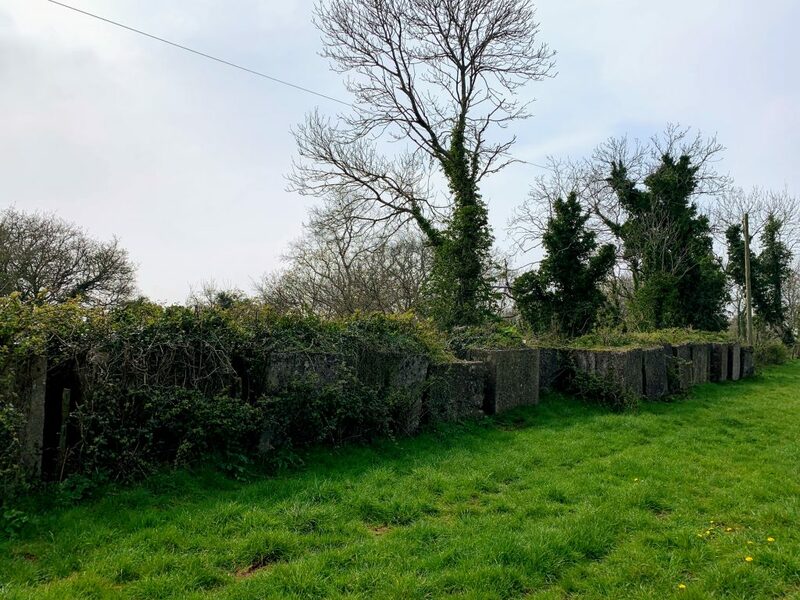 One thing that caught my eye was a boundary wall made of very large blocks of stone. I presume these came from the nearby (disused) Torhill Quarry. It certainly made for an unusual sight, although my photo above doesn’t really do it justice. The path next passes through King’s Castle Woods. The woods are named after the iron age hill fort that resides withing them. More than just a fort, there seems to have been a larger settlement here. The remains of ancient field walls are fairly obvious as you pass out of the woods and onto the Lyatt. According to wikipedia, it has never been excavated and relatively little is known about it, although Lidar images show three enclosures along with the field system. There is speculation that it was a precursor to the city of Wells itself. The path then passes on to the wonderfully named Furzy Sleight. According to The A-Z of Yeovil’s History the word sleight derives from the Old English slœget meaning a sheep pasture . Furzy presumably simply means covered with furze (or gorse), though it wasn’t so covered today. It wasn’t sheep that concerned me today, but cows. In the distance I could see a large herd, so decided to walk along the edge of the sleight rather than follow the path through the middle of them. Fortunately, this also brought me to the Furzy Sleight Pillbox, which I otherwise might have missed. This, of course, is evidence of more recent history. 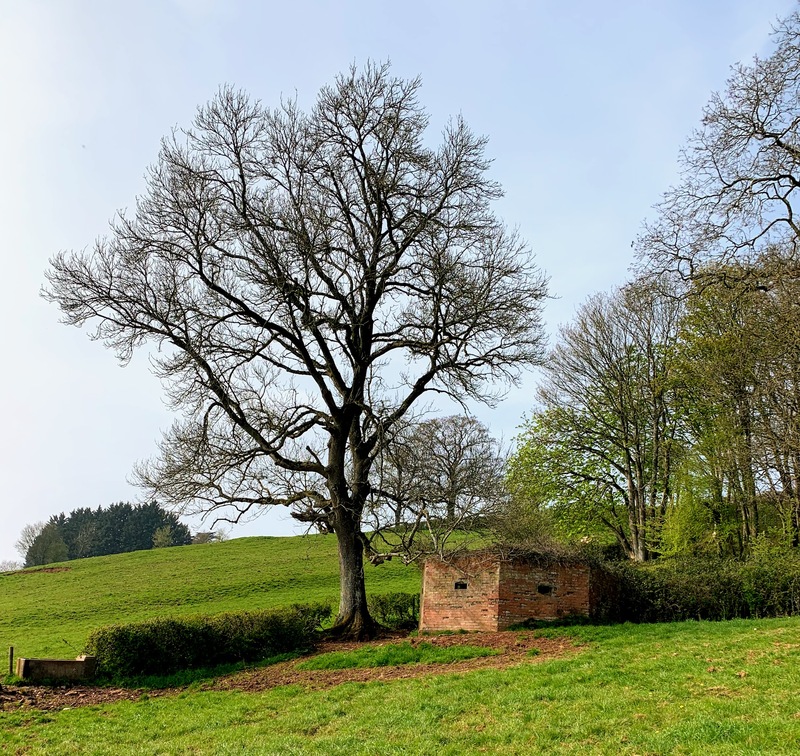 This pill-box was part of the “stop-line green”, one of 50 defensive lines built to defend against the expected German invasion in World War II. This line was part of the defenses of Bristol, and you can see where it ran on Google Maps. I negotiated the cows without too much trouble, although there were a number of bulls amongst the herd. Fortunately, they had other things than me on their minds, although it did make my heart beat slightly faster! The Mendip Way then passes along Sleight Lane and across the fields to the point of West Lane where I joined it in Walk 1. I then walked down West Lane and into Croscombe. My original plan was to walk back up the hills on the other side and return to Wells via Dulcote Hill. However, I had a change of heart and decide to head back through the valley via Dinder. Dinder is an impossibly quaint village. I cannot imagine how anyone can afford to live there. There are many beautiful and interesting buildings, but the one that particularly caught my imagination was the vine covered house above. 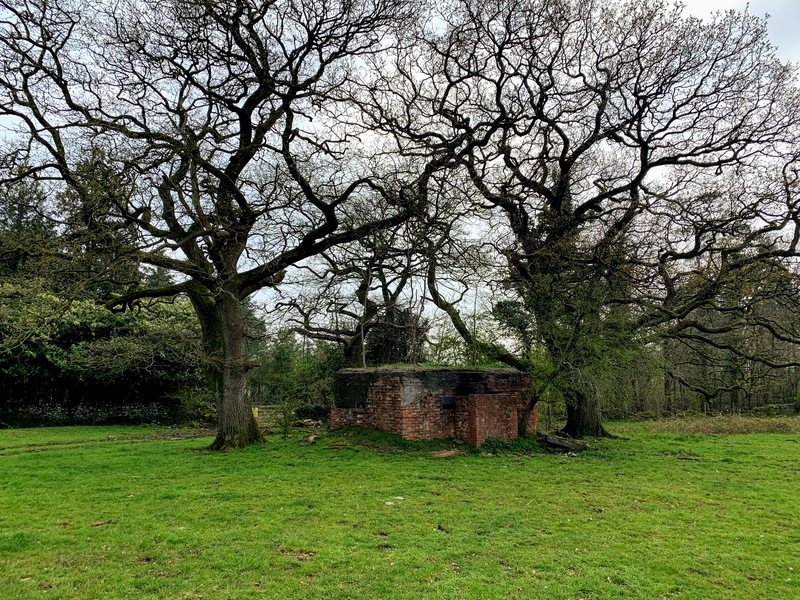 It looks to me like something from Annihilation – the house and tree are so symbiotically linked. I guess it will look very different in the summer. 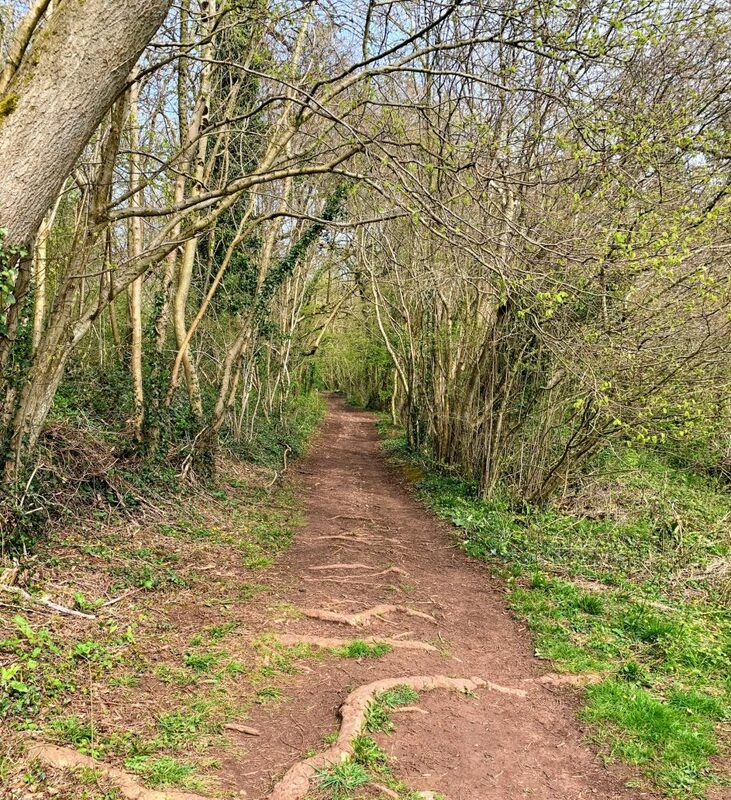 The walk back from Dinder to Wells is a pleasant stroll along easy paths through the fields. I made good time and was pleased with how much energy I still had left. I am definitely getting fitter. Along the way was another pill box, presumably part of the same defensive line as the previous one. The views out across the levels would probably be stunning on a less hazy day than today. Before long, I was back where I started and was heading back to the car for the drive home. 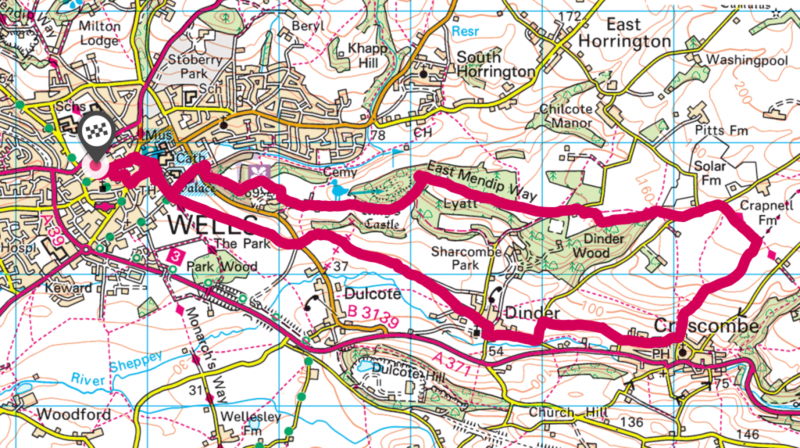 Today was another really enjoyable walk – and for a change, not too hilly either. 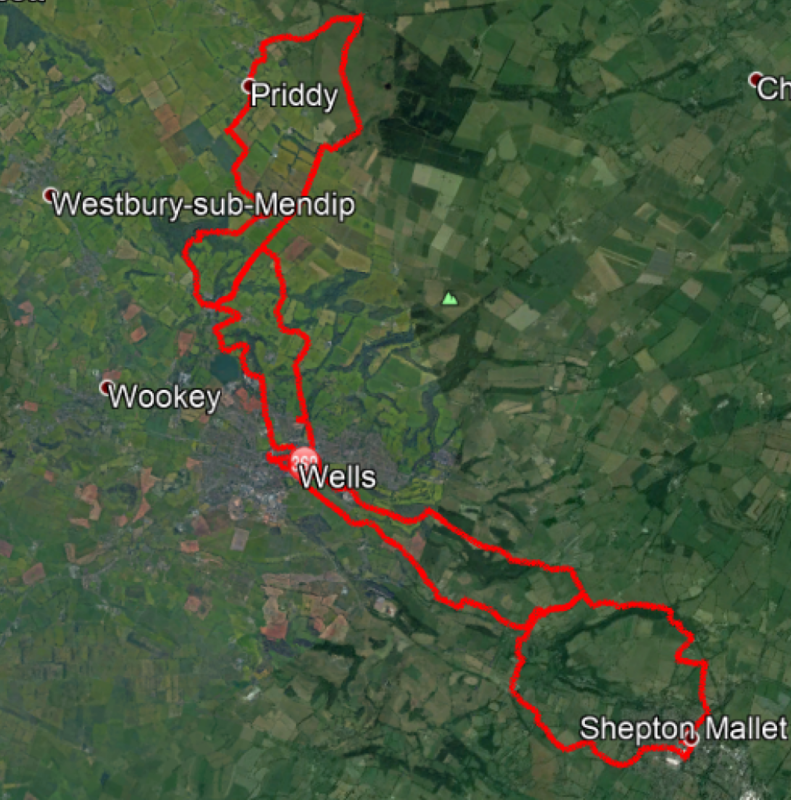 So far, I have walked from Priddy to Shepton Mallet along the Mendip Way, and my planned walks have worked really well. Can’t wait for the next one!